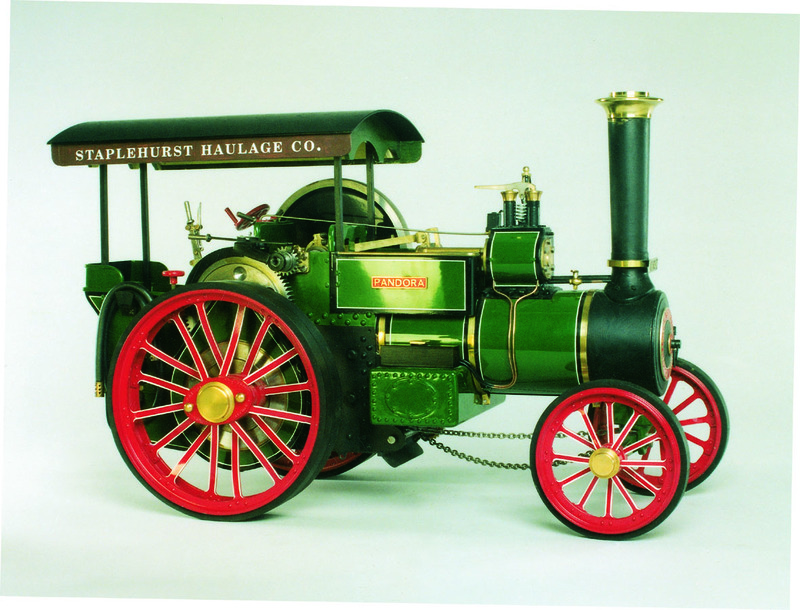 The Road Locomotive was very much a development of the Agricultural Engine with certain modifications to make it more suited to its purposeof heavy road haulage. Rubber tyres were almost universally adopted to reduce damage to the road surface. This had the added advantage of affording the driver a much quieter, smoother and less fatiguing ride. In addition the Road Engines were expected to work longer distances between refuelling and so had a belly tank for extra water and an extended bunker for added coal capacity. The driver was offered some protection from the elements with a canopy while an attempt was made to prevent horses being frightened by the fitting of a disc flywheel and motion covers. This is the type of engine that would be used to haul the largest loads of the day, many too large to be taken by rail. 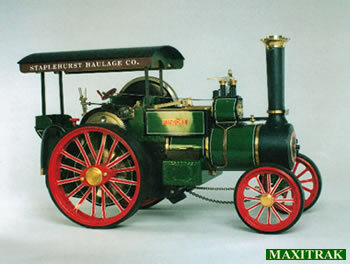 This is the most appropriate engine to use with the ride on Low Loader. Cylinder. 7/8" Bore. 7/8" Stroke.